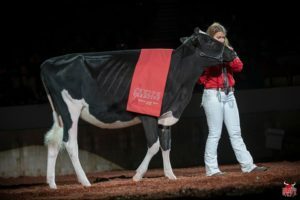 A duo of MilkSource Genetics youngsters — the jersey Milksource Gentry Marriot-ET and holstein MilkSource Taelyn-ET — were named World Dairy Expo’s inaugural Supreme Champion Heifer and Reserve Supreme Champion Heifer, respectively. 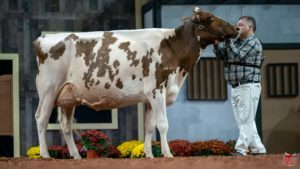 The titles came after each cow also was named Junior Champion in their respective breeds. Marriot is co-owned with Finco Valparaiso of Guatemala. Taelyn is now owned by Tom DeGroot & Partners. MilkSource Genetics was named Premier Exhibitor. Weeks Dundee Anika was Res. Grand Champion and Res. Senior Champion. Anika and TK-Plain-View Ripley were 2nd and 3rd, respectively, of the 6 Yr. Old+ class. Taelyn-ET captured 1st place Summer Yearling. Beaverbrock Goldwyn Zoey-ET was 5th Place 5 Yr. Old. 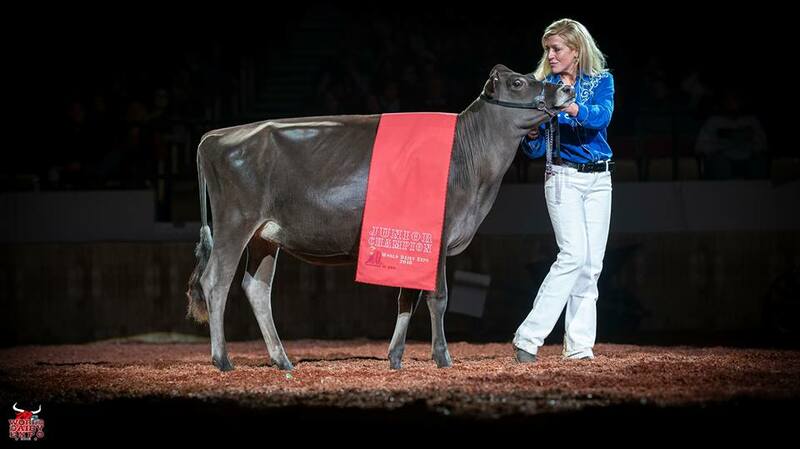 Marriot-ET won the Junior Champion title as well as 1st Place Fall Calf. Her sister, Milksource Gentry Mink-ET captured 2nd Place in the same class. 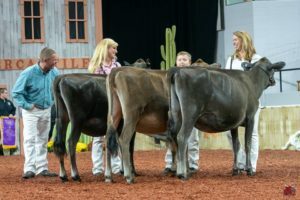 Marriot and Mink also teamed up with fellow MilkSource Genetics-bred Jersey, Milksource Velocity Malibu (owned by Shawn and Levi Banowetz), to garner the Junior Best Three Females honor. Antia Absolute Joline was 2nd Place in the Junior 3 Yr. Old class.